Recalls decision 2018/1 approving the Independent Evaluation Office (IEO) workplan. Planning of the Independent Evaluation Office during 2018, and for the remainder of the multi-year evaluation plan to 2021, is based on budget projections derived from the UNDP integrated resource plan and integrated budget, 2018-2021 (DP/2017/39), presented at the special session of the Executive Board in November 2017. The budget plan establishes a resource envelope for the independent Evaluation Office of $42.1 million for 2018-2021, which, if apportioned equally over four years, provides an annual budget of just over $10.5 million. Subtracting the annual cost of office rental and utilities, approximately $10 million would remain for staff salaries and programme expenditures. Decides to approve the workplan of the UNDP Independent Evaluation Office for 2018-2021. The plan builds on expectations set out in the UNDP evaluation policy, as affirmed by decision 2017/12, cementing a resource base for the Independent Evaluation Office of $42.1million over the period 2018-2021. Annex 1, para 2. Apportioned equally, $42.1 million over four years provides an annual budget of just over 10.5 million. Subtracting the annual cost of office rental and utilities, approximately $10 million would remain for staff salaries and programme expenditures. 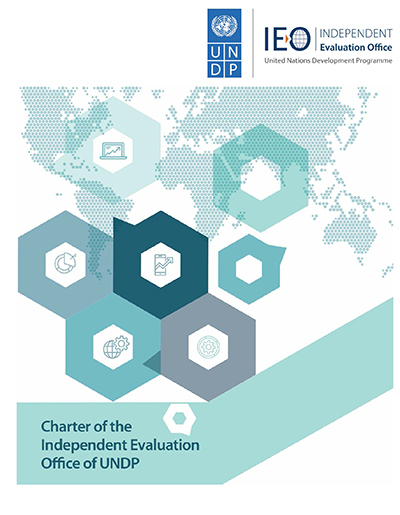 At the overall organizational level, UNDP will aim at allocating 1 per cent of combined programmatic (core and non-core) resources to the evaluation function; with no less than 0.2 per cent reserved for the work of the Independent Evaluation Office, subject to availability of resources. Approves the programme of work and budget for the Independent Evaluation Office for 2016 and for 2017 (proposed).